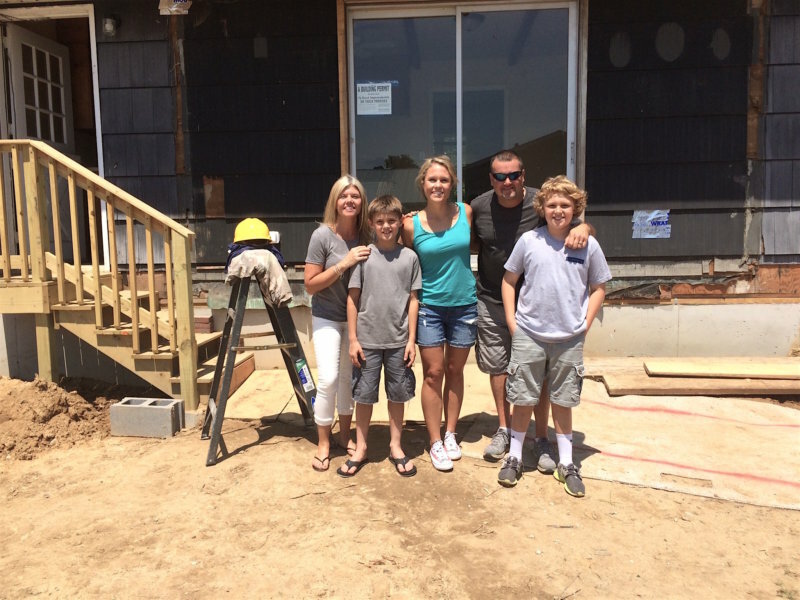 The second premiere night episode of Big Beach Builds, “The Beach Gut,” was an incredibly unique project for one major reason – my clients, Jaime and John, didn’t move into their new beach home, they literally moved it! (Read my episode 1 recap here). The couple’s friend owned the home and wanted to demolish it, but Jaime and John fell in love with its potential. Their friend offered it to them for free – if they could remove it from its current location. So they did – only three miles away to an open lot in Rehoboth Beach, Delaware, where it’s now safe and sound. Now what’s more sustainable than that? The 60-year-old house was certainly in rough shape, but there was much to love about it. Its original beams had great rustic appeak and exuded warmth and weathered age. It also had a good-sized footprint to work with, which is always helpful in a home that will host a lot of visitors. 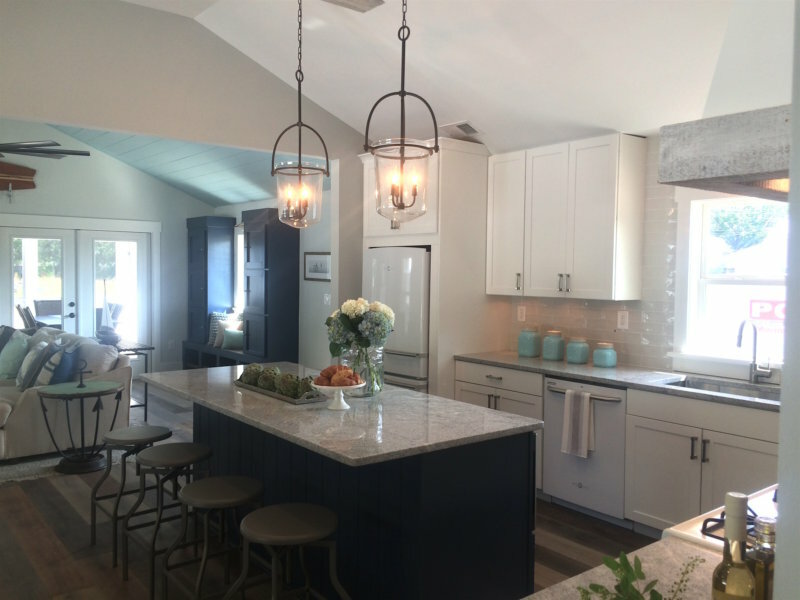 It was really important to Jaime and John to keep this home’s charm and integrity, and with a little creative problem-solving and a whole lot of elbow grease, we did just that! 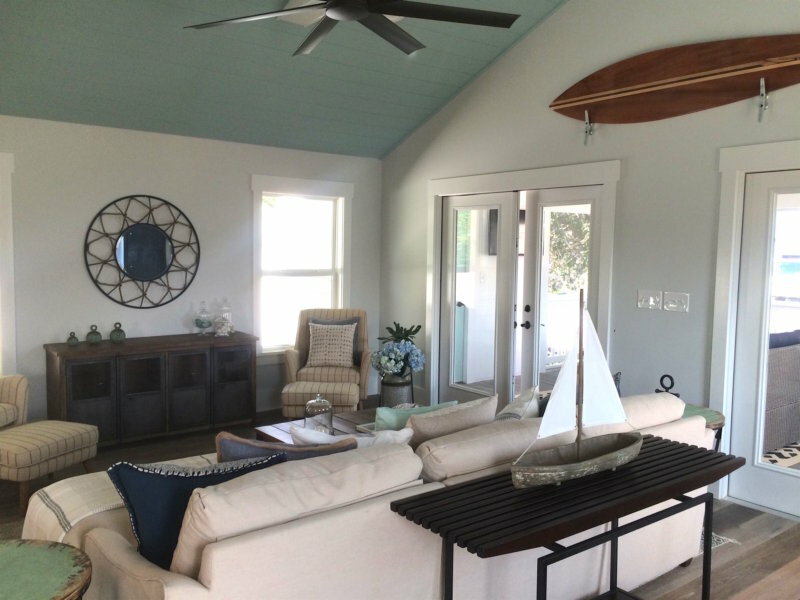 The final result was a beautiful beach cottage with 3 bedrooms, 2.5 baths, a laundry room, a screened porch, and a large, open floor plan. 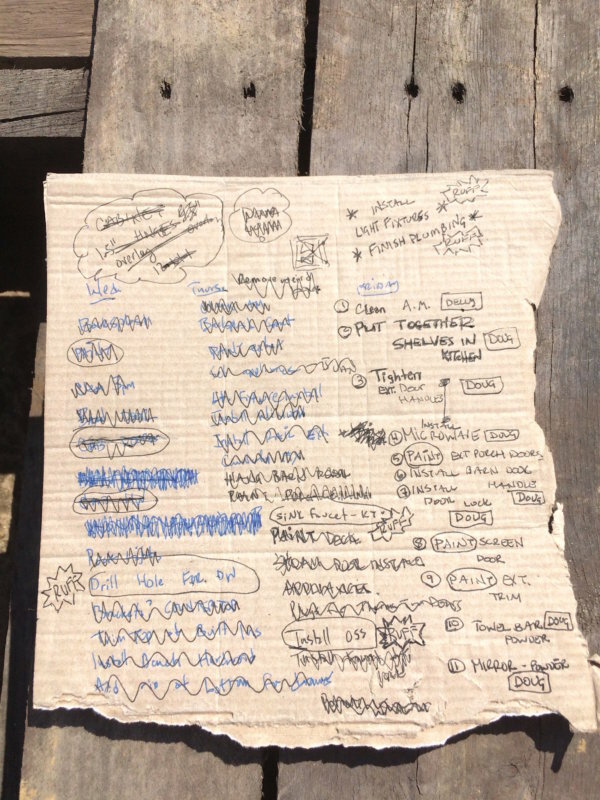 I constantly write lists on job sites to stay on top of everything, and when my notebook is not available, I improvise! Problem: The original floor plan was all wrong for this home. 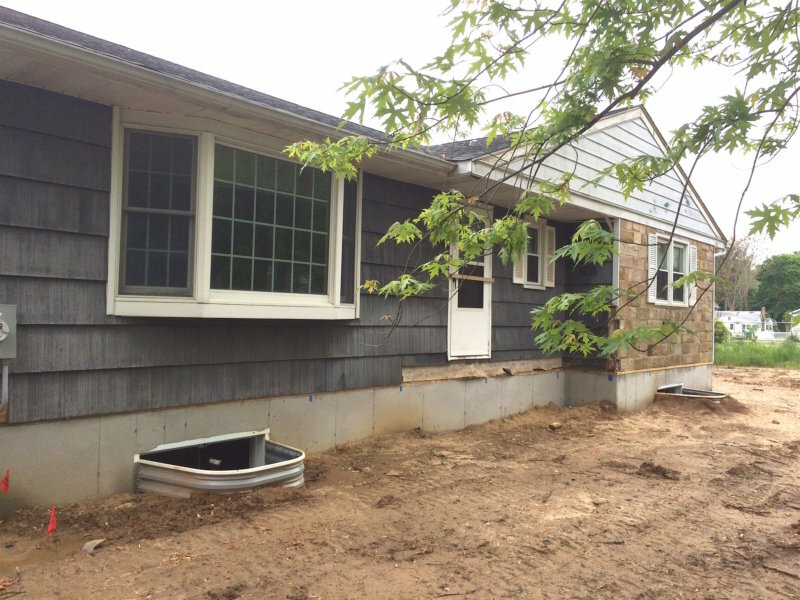 A huge portion of it was eaten up by a garage, and the living space and kitchen were separated by a wall. 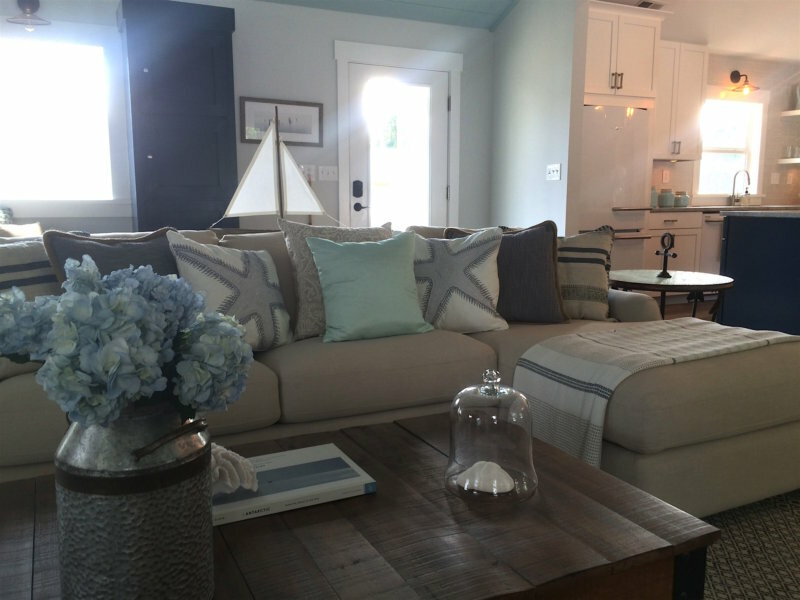 Beach homes are all about easy, casual entertaining, so this layout just wouldn’t do. Solution: I turned the former garage into the new great room, complete with two sets of doors that led onto the added-on screened porch (see below) and a brand new front entryway. I also knocked down all of the walls between the garage/new living room, the old living, and the kitchen. Finally, I turned the old living room was into an open dining area right off the kitchen to create an open floor plan perfect for entertaining. 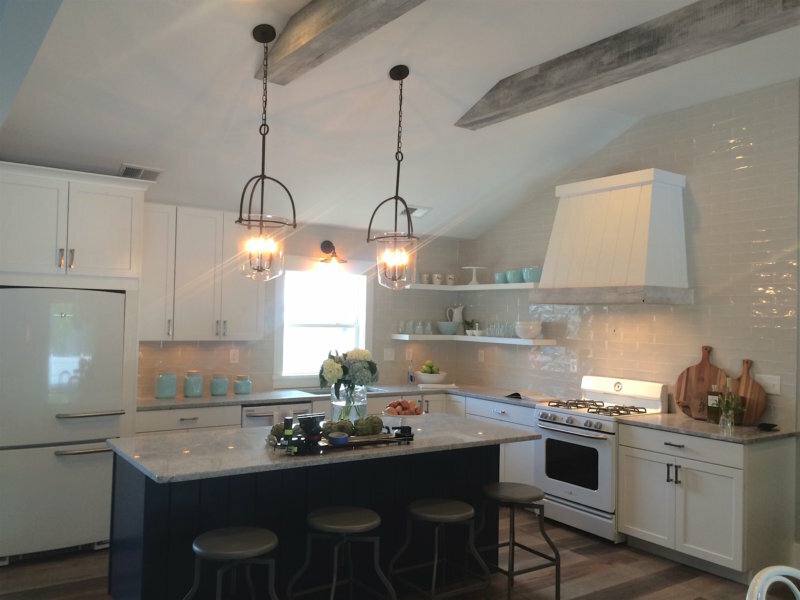 Problem: The old kitchen was dark, outdated, and closed off. It had very little light and its charming wooden beams were receding into the background. Solution: I totally reconfigured the kitchen to include new cabinets, a large open island (which wouldn’t have been possible if the old wall was still up), and a paneled hood. 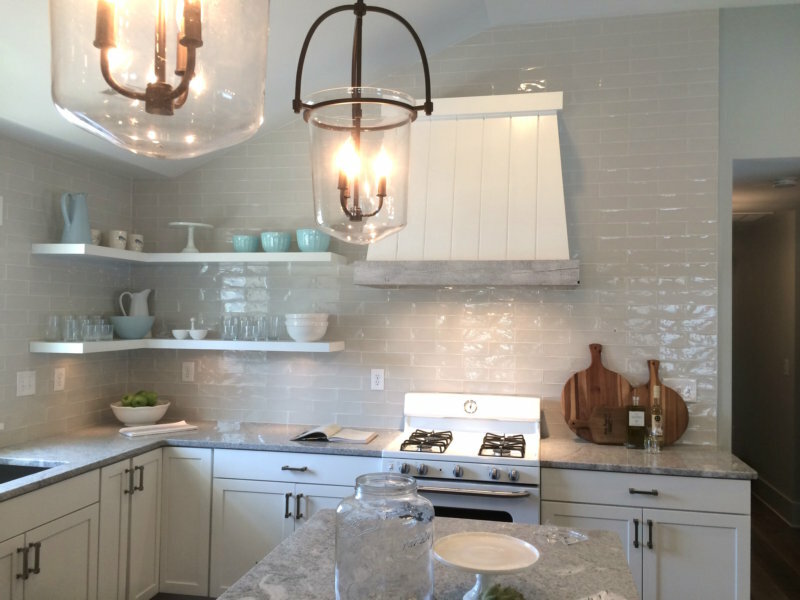 I brought the new backsplash to the ceiling to draw the eye up to the gorgeous beams that we painted lightly whitewashed. We also added a new, large window that now floods the space with natural light. 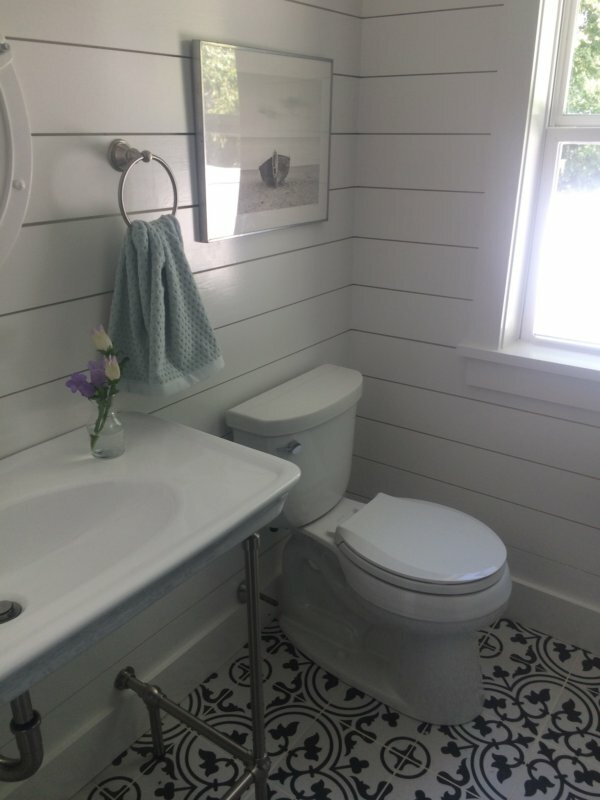 Problem: The original space lacked a powder room for guests and also had an exterior door in the middle of the space. Solution: By removing the exterior door and sealing that entrance, I was able to carve out a small powder room near the dining area. 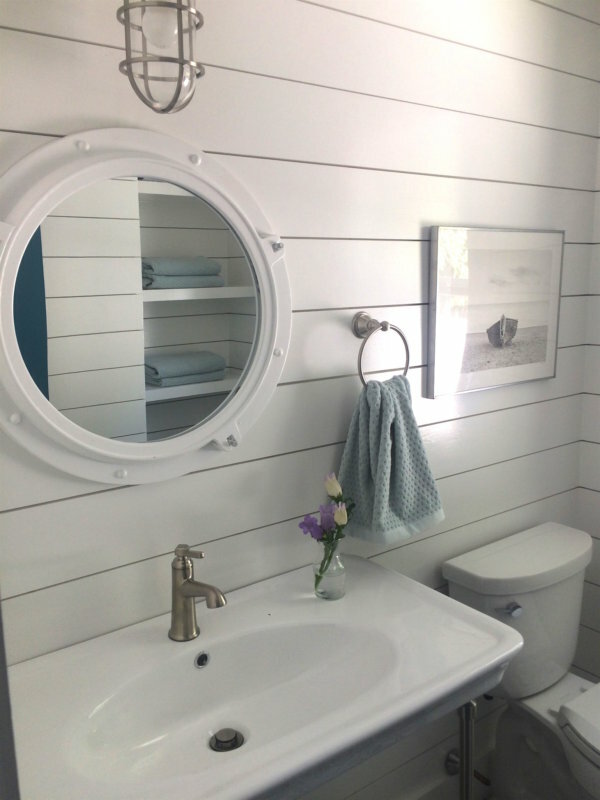 Bright, white walls and patterned tile made the space feel fresh and modern, and built-in shelves for towels and toiletries meant no wasted space. Problem: With young boys, this couple needed a place for clutter, as well as somewhere they could clean off from the beach before trekking through the house. Solution: I created a large structure with built-in cubbies and hooks for the boys to stow all their gear right near the new front entry in the great room. 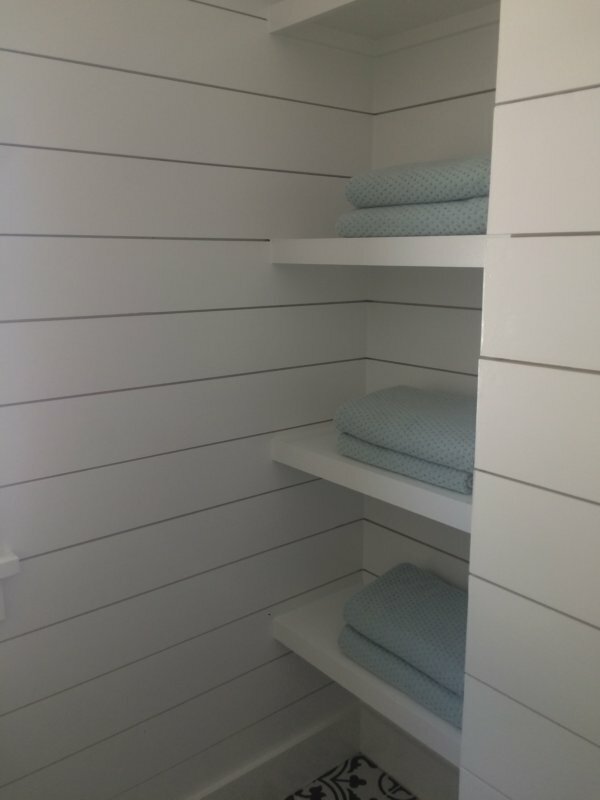 Outside, attached to the new screened-in porch, I built an airy outdoor shower – a beach house essential! – so the boys (and guests) could rinse of sand and salt water before entering the home. 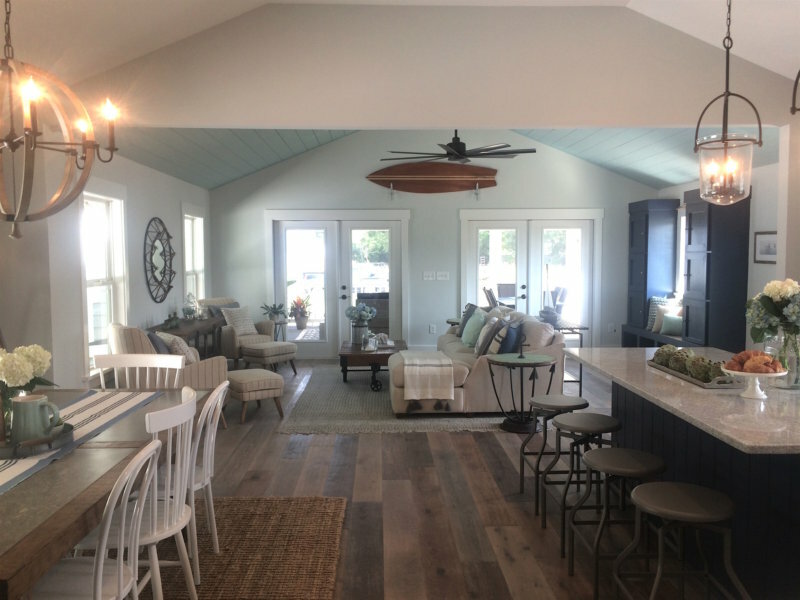 Problem: The original structure had no deck or porch where the family could entertain and enjoy the gorgeous beach weather and ocean breeze. 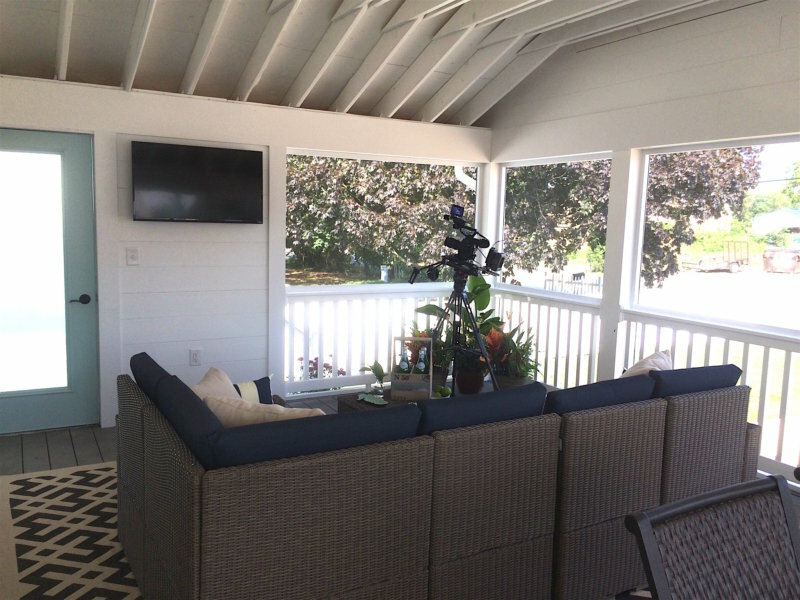 Solution: Indoor/outdoor living is the pinnacle of life at the beach, so I built a large, screened-in porch off the front of the home. I installed a ceiling fan to stay cool and the screen to keep pests out. Finally, I added a TV so the family could enjoy movie nights outdoors on warm summer evenings. 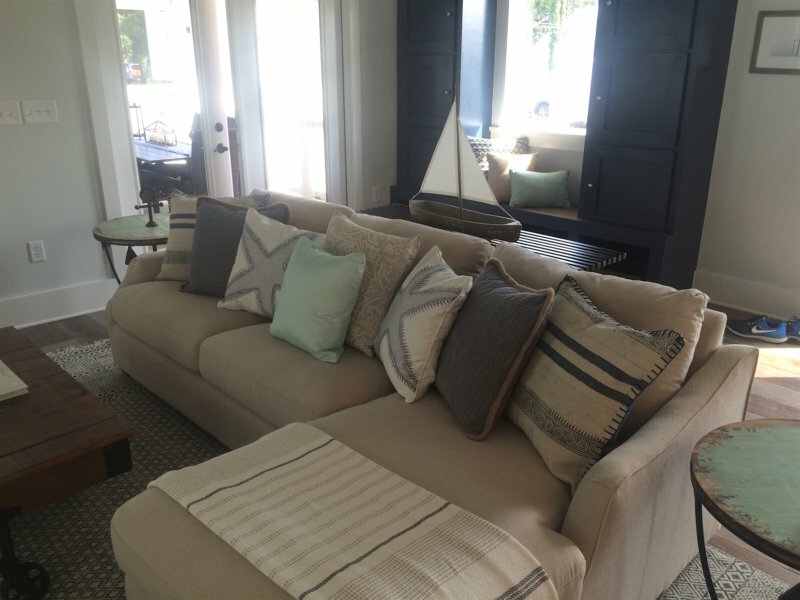 TIP: When decorating a coastal home, you don’t have to go obvious or all out with beach motifs. Pick a sea-inspired color palette (I love a variety of blues and light teals), add in some weathered texture (ropes, wood, etc. ), and top off with a few nautical touches. Here’s my nephew, Tyler, who appeared in this episode. 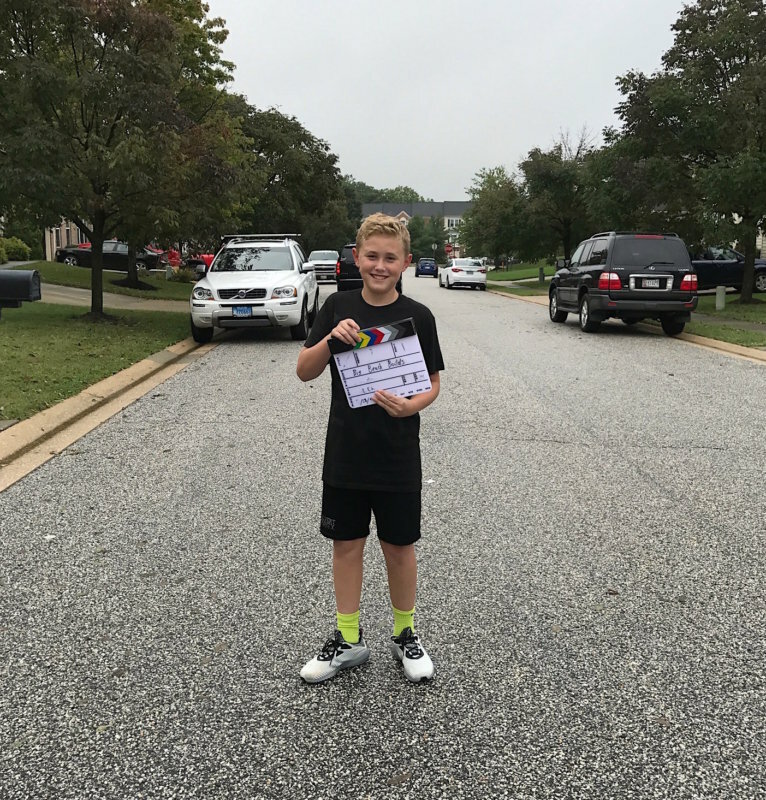 Cute kids and clapboards – what could be better? 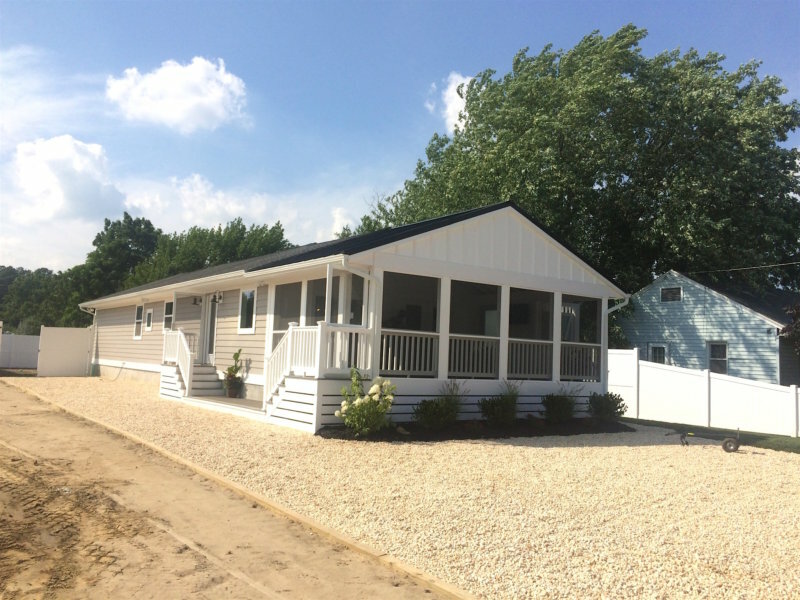 Don’t forget to tune in next Monday night at 9/8c for two more brand new episodes of Big Beach Builds! And if you haven’t already, see my Episode 1: Amazing A-Frame recap here.